One small perk of being a part-time nanny? 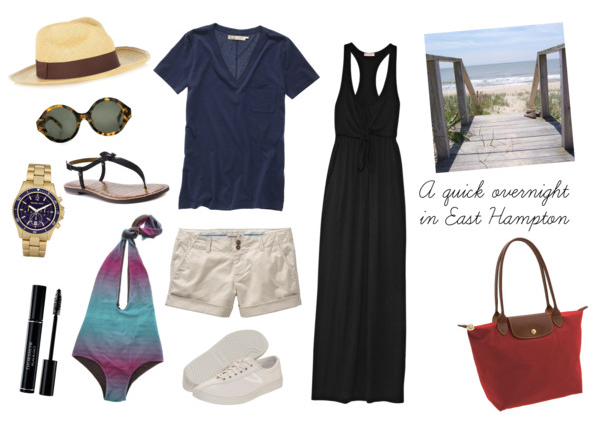 I get to escape the city in the middle of the week and spend a night in East Hampton. I'm taking off today and returning tomorrow, so my Longchamp shopper should be all I need. And since I'll mostly just be playing with a rowdy toddler, I'm packing preppy, run-around basics and just a little mascara. Have a blast darling! Should be a lovely night in the Hamptons. Collage looks amazing!!! Have fun and safe travels! !